RISHI DHAMALA: Following Indian Prime Minister Narendra Modi’s two-day Nepal visit, the two largest communist parties of Nepal, CPN-UML and CPN (Maoist Center) announced their historic merger to form Nepal Communist Party making it the largest communist party in Nepali political history. The merger also gave the ruling party a commanding majority in the House—ensuring a stable government that would rule for five straight years. 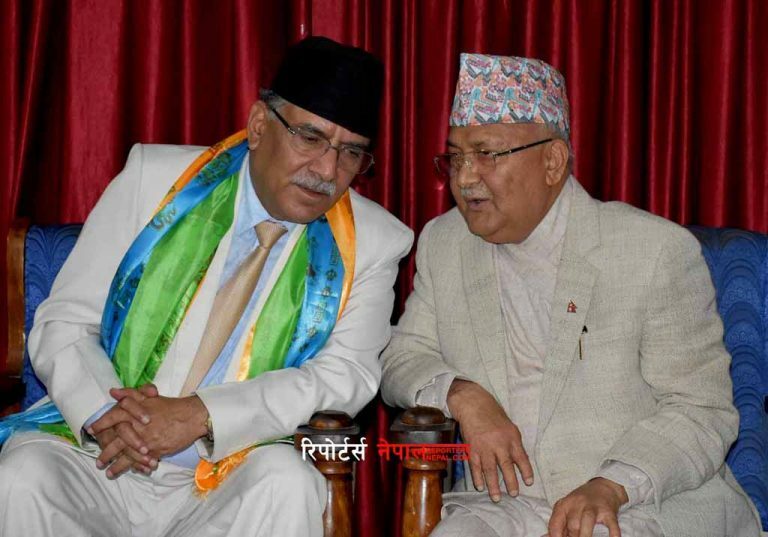 The unification of the two ruling parties has also started the age of development and prosperity in Nepal—thanks to chairs K P Sharma Oli and Pushapa Kamal Dahal ‘Prachanda’; and the history has shouldered a great responsibility to these two leaders: to lead the country toward peace, progress, development and prosperity fulfilling the promises they made in manifesto during the polls. 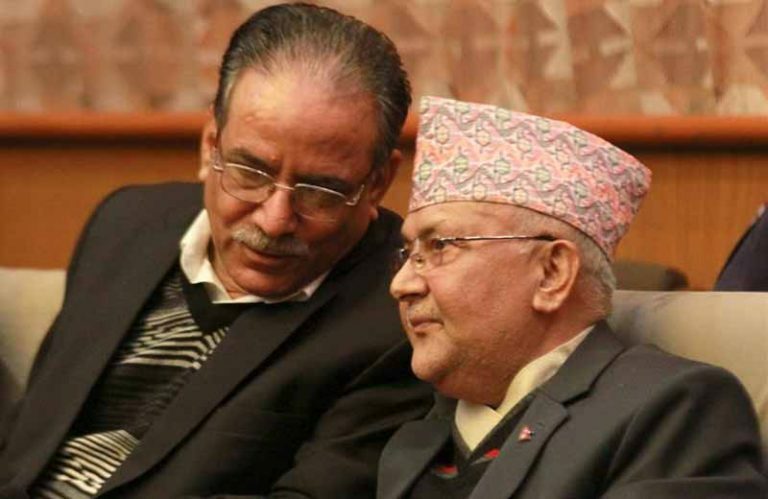 And without a doubt, the duo is capable of meeting the dream of Samriddha Nepal Sukhi Nepali, introduced by Prime Minister Oli. For that, Nepal should attract foreign investments, eradicate corruption and maintain good governance. Oli has repeatedly said that the government will adopt zero tolerance toward corruption maintaining that no development and prosperity would be possible in presence of corruption and irregularities. The government in its policies and programs for the fiscal year 2018/19 has also emphasized on constitution implementation, economic and infrastructural development, doubling agro production and completion of ongoing developmental projects and doubling the country’s economic growth by double digit within five years. Meanwhile Indian Prime Minister Narendra Modi has also pledged to support in Nepal’s journey of prosperity. The Indian prime minister recently visited Nepal (May 11-12), which has basically given three clear messages. 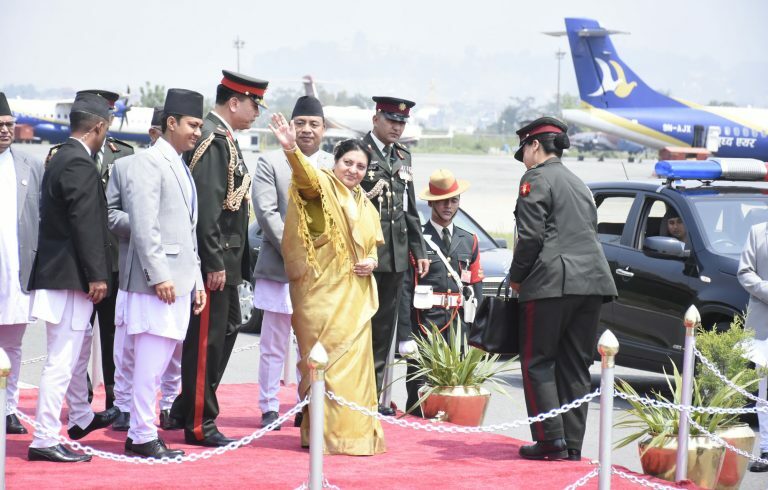 First and foremost, the Indian government always puts Nepal as its top priority in its foreign policy; second, India is willing to move Indo-Nepal bilateral relation ahead keeping economic development at center; and third, consolidating the Indo-Nepal diplomatic ties through maintaining cordial cultural and religious bond. It was the Modi’s third visit to Nepal—any country he has visited the most since assuming power in 2014. Modi has already hinted at his possible fourth visit to Nepal in near future, stating that he wishes to visit Lumbini, the birth place of Lord Buddha. During his visit, Modi and Oli jointly inaugurated the 900 megawatt Arun III, one of the most ambition and largest hydel project in Nepal, after many setbacks. A Project Development Agreement for the 104 billion worth project was signed with India’s state owned Satluj Jal Vidyut Nigam on November 25, 2014 in the presence of the then Prime Minister Sushil Koirala and visiting Prime Minister Modi. The Arun III had been canceled in 1990 citing environmental objections and qualms over already high power tariffs. The World Bank had withdrawn its financing from the project in 1995. During his visit, Modi also expressed his willingness to move ahead with Nepal conjoining the Oli government’s ‘Samriddha Nepal Sukhi Nepali’ and the Indian government’s ‘Sabka Sath Sabka Bikash’. 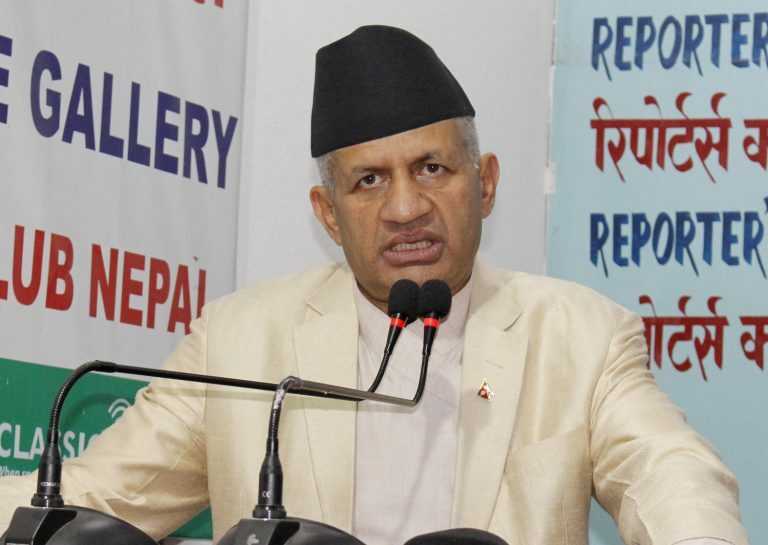 “India remains a steadfast partner of Nepal government to implement its vision Samridha Nepal, Sukhi Nepali, introduced by Prime Minister Oli,” he said. “I not only talk about India but, also about neighboring countries. I always want the development of our neighbors. Today, I’m happy that Nepal is developing rapidly,” he said referring to Indian government’s vision of Sabka Sath Sabka Bikash. Modi’s visit carried a special religious and cultural significance. He directly landed in Janakpur, birth place of Sita, instead of the capital city Kathmandu. He offered special worship at Janaki temple and then the visiting Indian prime minister and Oli jointly flagged off Janakpur-Ayodhya bus service with green flags. It was Modi’s effort to boost connectivity between the two neighbors. The duo also inaugurated the Ramayana Circuit from Janakpur. 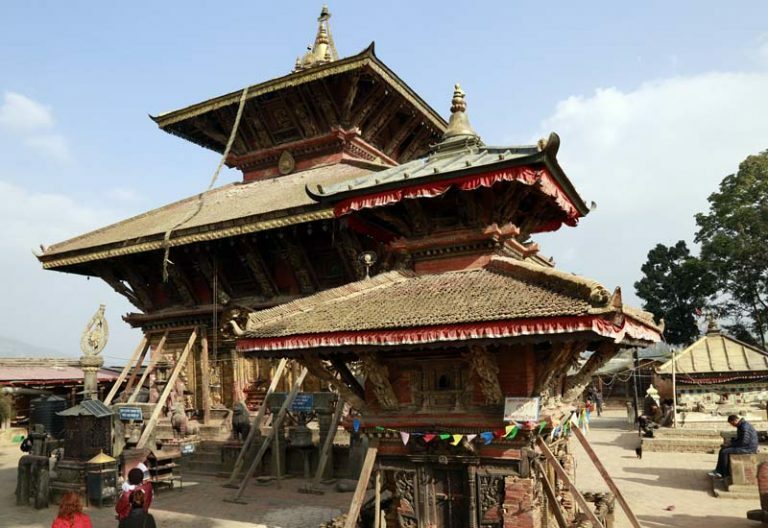 Modi, next day, visited pilgrimage Muktinath temple, which is located in the Himalayan district Mustang–another step of the visiting Indian prime minister to trim the gaps between Nepal and India. In overall, his visit to Janakpur, Kathmandu and Mustang districts was a message to Nepal for integration between Hills, Mountains and Terai region. Modi was careful not to deliver any controversial statements during his visit. His addresses were concentrated on religious, cultural and economical subject matters. Modi, while attending civic reception in Janakpur, said that he came to Nepal as a pilgrim. He did not hesitate to eulogize the beauty of the places he visited during his stay. Like in his previous visit in 2014, Modi returned home winning the hearts of Nepali people. In his address to civic reception organized by Kathmandu Metropolitan City at Rastriya Sabha Griha in his felicitation, he mentioned the name of Sandeep Lamichhane, who joined the Indian Premier League outfit Delhi Daredevils this year. The same day, Lamichhane got the opportunity to debut in the cash rich Indian twenty20 cricket tournament. A number of anti-Modi campaign in social media and in some towns were all proved wrong, as his visit revealed his pure intentions toward Nepal. Not only Lumbini, Janakpur and Muktinath but Modi considers whole Nepal as the holy land. Modi received civic reception in Janakpur and in Kathmandu. The people of Mustang gave a heartily welcome to Modi. It’s the first occasion that any visiting prime minister got civic felicitation in all hilly, mountainous and terai regions of the country. Modi also welcomed the visitors who arrived to call on him. He looked rather excited with signs of excitement in his face during his two day Nepal trip. Though he didn’t publicly give political opinion, Modi held some serious talks on some of the political issues. Oli and Modi held discussion on mutual benefits and economic development through partnership. The duo is on the same page for moving ahead together for the benefit of mutual interest. Since both the prime ministers are popular of speaking clearly and moving into action, their chemistry is a good match. Both leaders have made commitment to cooperate in the journey of economic development and prosperity. As both leaders have made understanding on building development projects in partnership, it can be said that Modi’s India visit is successful from every angle. Modi, after returning home, said that talks with Prime Minister K P Sharma Oli were “productive” and his trip has added new vigor to India-Nepal ties. Modi is a result-oriented leaders. His interest and respect toward Nepal has started producing results. Long-stalled projects have been expedited; take Pancheshwor Multipurpose project for example. The environment for expediting Upper Karnali is being created. Discount in India to Nepal and Nepal to India call has come into implementation. Modi’s positive efforts has surely benefitted Nepal, which has also made Nepali people happy. They also agreed on effective implementation of the bilateral initiatives in agriculture, railway linkages and inland waterways development, as agreed upon by the two sides during the recent visit of Prime Minister Oli to India. The two leaders reiterated their resolve to work together to take bilateral relations to newer heights by strengthening ongoing cooperation in diverse spheres as well as expanding partnership for socio-economic development on the basis of the principles of equality, mutual trust, respect and mutual benefit. They emphasized the need for a regular convening of bilateral mechanisms, including Nepal-India Joint Commission at foreign/external affairs ministers level, to review the overall state of bilateral relations, and for the expeditious implementation of the economic and development cooperation projects. The two leaders agreed to take further steps to enhance the economic and physical connectivity by air, land, and water. They also directed their officials to expand cooperation in civil aviation sector, including early technical discussion on additional air entry routes to Nepal by respective technical teams. They reiterated the importance of advancing cooperation in water resources for mutual benefit in areas such as river training works, inundation and flood management, irrigation, and to enhance pace of implementation of ongoing bilateral projects. They also expressed satisfaction over constitution of the joint team, which will visit areas affected by inundation and floods and consider appropriate measures for sustainable solution. The two prime ministers also agreed to enhance bilateral cooperation in power sector in line with the bilateral Power Trade Agreement. Not only Kathmandu to Delhi and Pokhara to Delhi, but also Janakpur Ayodhya bus service has come into operation during Modi’s tenure. Nepal has stepped into the path of political stability and economic prosperity. The diplomatic policy and strategies have opened way for resolving problems the two countries are facing. Modi has also adopted the policy in interest of lower level people. We should understand the Indian prime minister’s positive intention toward Nepal, since Modi’s premiership can be a golden era for Nepal in terms of development and prosperity—which the Nepal people have long wanted. Nepal should learn to identify the opportunities and take long-term advantage from the extraordinary bilateral relation between Nepal and India.